Yahoo! NEWS Canada – London: West Indies all-rounder Carlos Brathwaite has signed to play for Kent in their opening four matches of the Vitality Blast Twenty20 competition, the county announced on Wednesday. 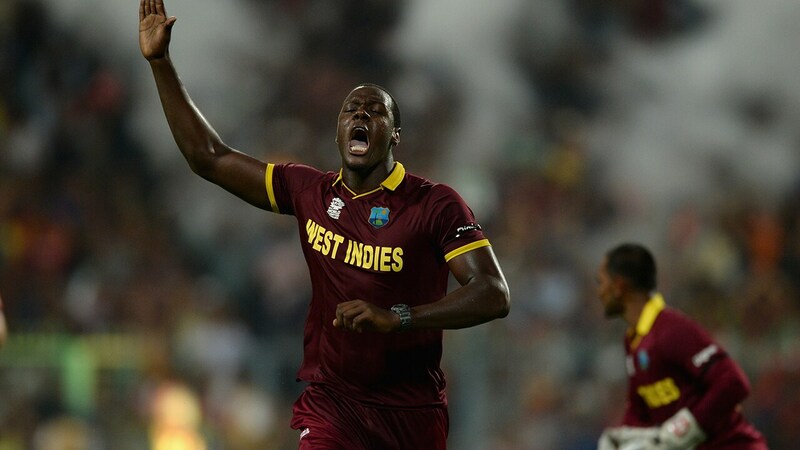 London: West Indies all-rounder Carlos Brathwaite has signed to play for Kent in their opening four matches of the Vitality Blast Twenty20 competition, the county announced on Wednesday. The World T20 champion, who made his name hitting four successive sixes in the final over of the 2016 final against England, will join the squad before the opening group match at Surrey on 6 July. Brathwaite, 29, who has played three Tests, 28 one-day internationals and 25 T20s for West Indies, said, “I’m delighted to be joining Kent Spitfires for my first taste of county cricket. Derbyshire have signed experienced Pakistan bowler Wahab Riaz, who will be available for the county’s opening 10 T20 matches.